The Alpinist Walk is a durable, 12-point steel crampon for alpine touring including high-alpine, ridges, north faces. The Alpinist Walk is a sturdy steel crampon with anti-bot plates for demanding Alpinists facing the challenges of ridges and north faces. The weave of the binding is made of soft material that perfectly adapts to the shoe. 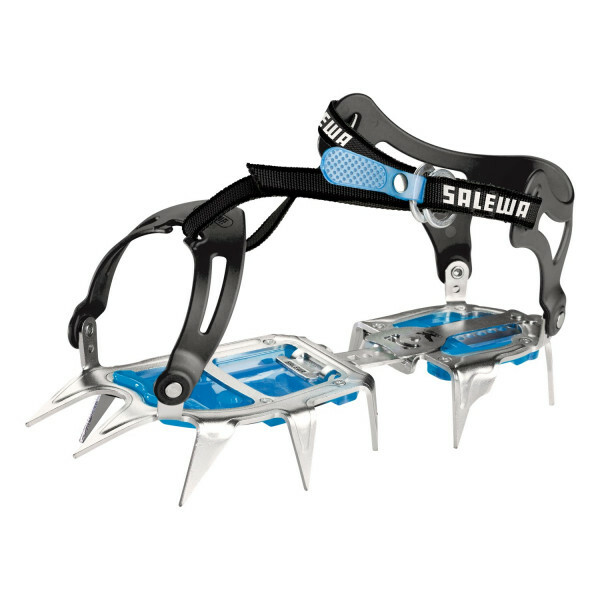 Universal crampons with plastic weave at the back and front to fasten all shoe types, especially those without sole edges. Ideal for simple climbing.